Believe it or not, selecting the perfect countertop for your kitchen remodel can be a fun experience! There are lots of options – in a wide range of styles, colors, and prices. A new laminate countertop, for example, can cost as little as $25 per square foot. Or you could easily spend $75 to $100 dollars a square foot on quartz or granite. Durability, ease of maintenance, and affordability are all important factors to be taken into consideration. What are the best countertops for kitchens in Tallahassee, FL? Visit our showroom and we’ll review the pros and cons of different countertop type. You’ll be rewarded with years of service from your countertops! Countertops are one of the most important selections you make during a kitchen remodel. How will it be used? Are you a weekend chef, or do you prep three or more meals a day? Different countertop materials perform better for chopping, in wet areas and for specific tasks like rolling dough. Consider using different materials in different areas of the kitchen. Marble is great for a baking station. 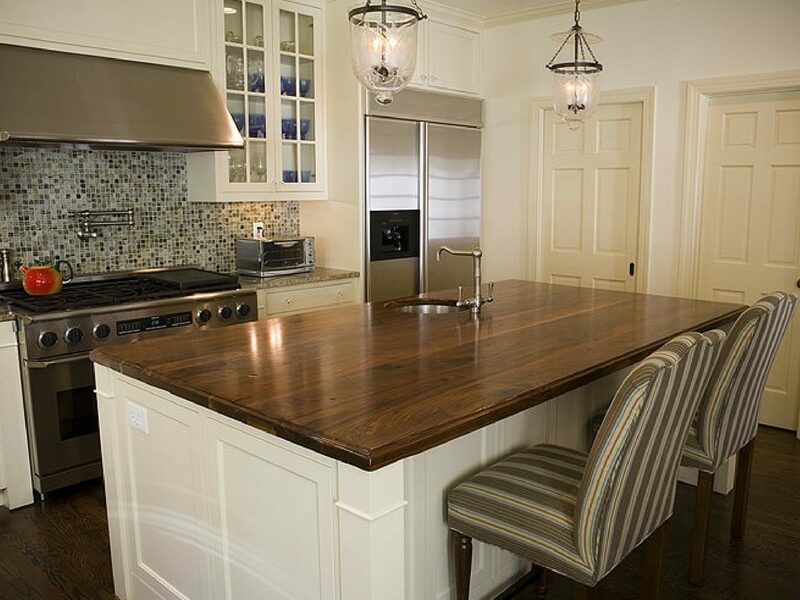 Butcher block or wood tops are good for islands or a buffet. Quartz and granite a great in wet areas. How countertops are used can affect your choice. How much do you want to spend? Think about how much of your budget you want to invest in countertops. Estimate $25-$35 a square foot for laminate, $45-$55 for butcher block, $55 to $75 for granite, $75-$85 for quartz, and $100-$125 or Dekton or Neolith. What’s your personal style? 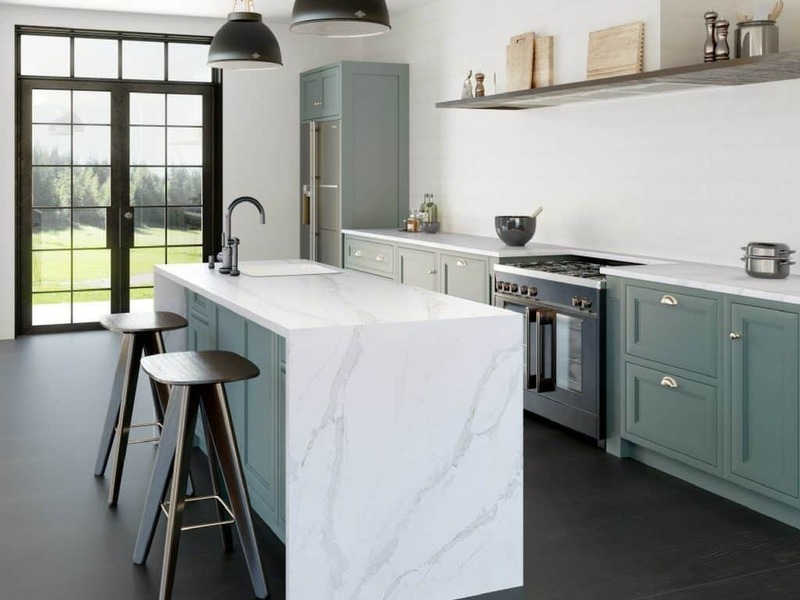 Style is a key factor in selecting the right countertops. For example, traditional kitchens often look best with granite or quartz, while sophisticated or modern rooms often use slate or marble. Countertop Thickness: While the most popular thickness is now 3mm (1.25 inches), a 2mm (.75 inch) thick top looks great in a modern design. On the other side of the spectrum there are wood tops which can be 2” thick or more. Edge profile. There are many different edge treatments for a kitchen counter. Once upon a time, homeowners were thrilled to have a small laminate prep area between the sink and the stove. Today, there are hundreds of colors, patterns, and textures available in materials ranging from stained concrete to, yes, the old-standby, laminate. No matter what your budget or lifestyle, there’s a material that’s certain to be just right for your upcoming remodel. Quartz is a man-made stone that consists of 93 percent stone powders and 7 percent resin. It’s not a regulated material, so some companies will have higher amounts of resin than others. Beware of cheap quartz with high amounts of resin. 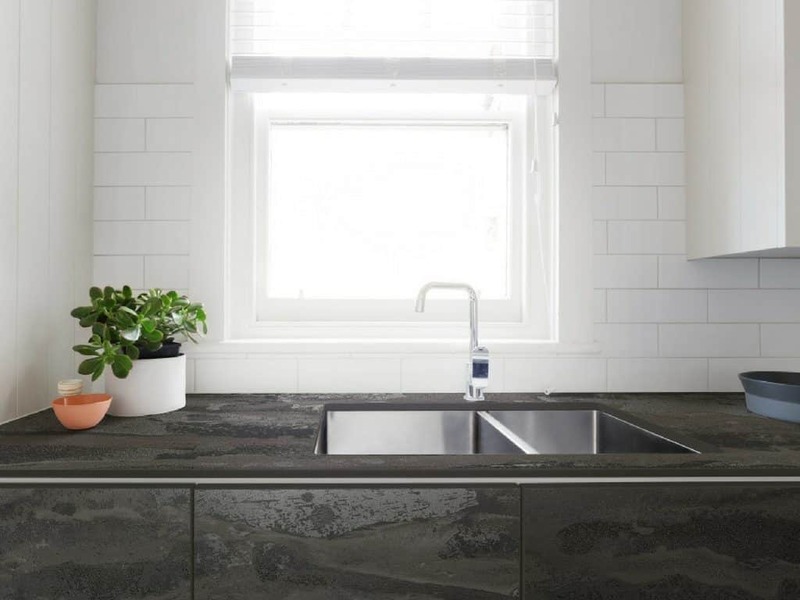 Sintered stone is a type of quartz countertop. The big difference is sintered stone has no resins. It’s 100 percent stone. Its manufactured by applying an immense amount of heat a pressure to a mixture of stone powders. Granite was once the most popular countertop surface. It’s still popular today, though quartz has overtaken it as the favored choice. It is one of the most durable options out there. While it’s a bit porous and requires periodic resealing, it withstands heavy workloads and is resistant to chipping. Since all stone is inflexible, granite countertops will chip or crack if struck with enough force, but they have proven to be able to take whatever is thrown at them. Granite is made from a variety of materials, including quartz, which is responsible for granite’s well-known resilience to impact and heat. It comes in a range of beautiful colors including blacks, whites, beiges, greens, and corals. Every piece is unique and comes in a shiny, polished, or soft matte finish. What can you expect to spend? It depends on the color and finish you choose, as well as the stone’s origin. A traditional choice that is making a comeback, wood is both naturally beautiful and highly functional. It’s warmer to the touch than quartz or granite and offers a richer look than laminate. Readily available and sustainable, it comes in a variety of species, colors, and finishes. Wood countertops also have a range of looks, including striped, end-grain cubes, and live edge detailing. It can be less expensive and faster to produce than stone and solid surfaces, and can be touched-up with relative ease. Butcher block wood countertops are your most economical choice and look fantastic in a farmhouse style kitchen. Economical laminate has undergone quite a transformation over the last decade. Forget about the laminate you saw in your grandparents’ kitchen! 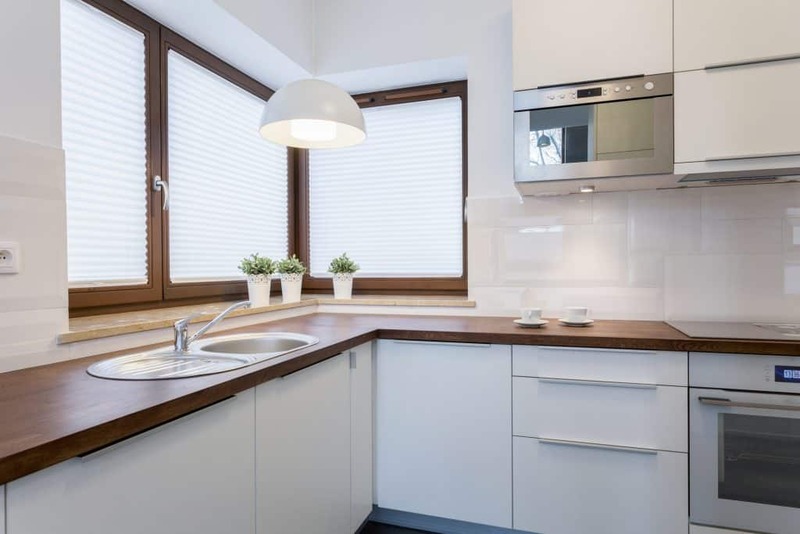 Today’s laminate has fanciers edges and can be designed to resemble more expensive materials like granite, butcher block, and even stainless steel. The downside to laminate in the kitchen is its low heat tolerance, which requires the use of trivets or potholders on the counters. But to be fair, no countertop manufacturer recommends putting hot pots or pan directly on the counter. Which countertop surface is the best? None of them. And all of them. The countertop material should be matched to its use. Sure, fancy show kitchens look great all decked out in polished marble. But marble is soft, expensive and it stains easily… not the best choice for a family with 3 young ones. Consider using different counter materials in different places in the kitchen, both as a way to extend your budget, but also to optimize the work area. At McManus Kitchen & Bath, we love showing clients the wide variety of kitchen countertops available for their home remodel. To discover all there is to know about choosing the best ones for your remodel – contact us today to schedule a visit to our showroom. We look forward to meeting with you! 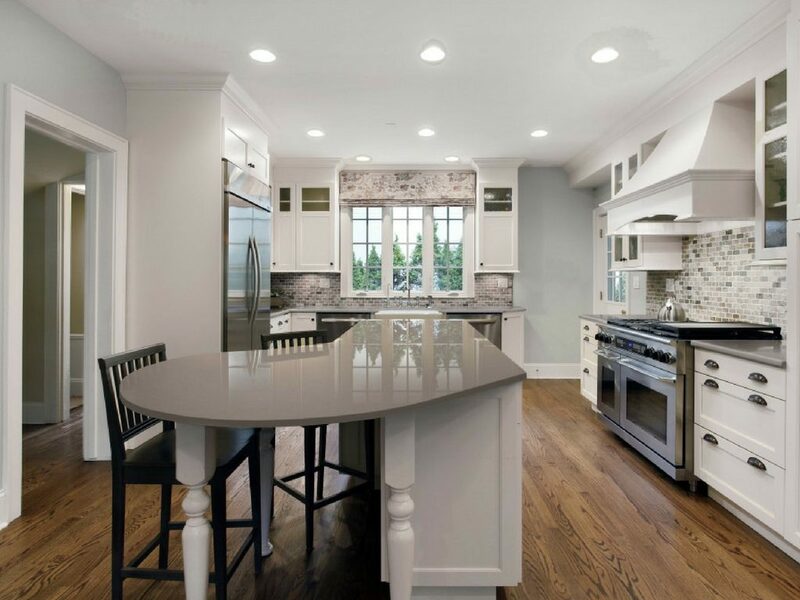 ← Is Recessed Lighting in the Kitchen Your Best Option?